One of the biggest mistakes made in social media marketing is building the wrong communities. What we mean by that is that many brands and marketers build followings of their peers, competitors or incorrect prospects, rather than their target audience. Subsequently, the time spent on social networks engaging, creating and posting content doesn’t achieve the level of desired results that they had hoped. 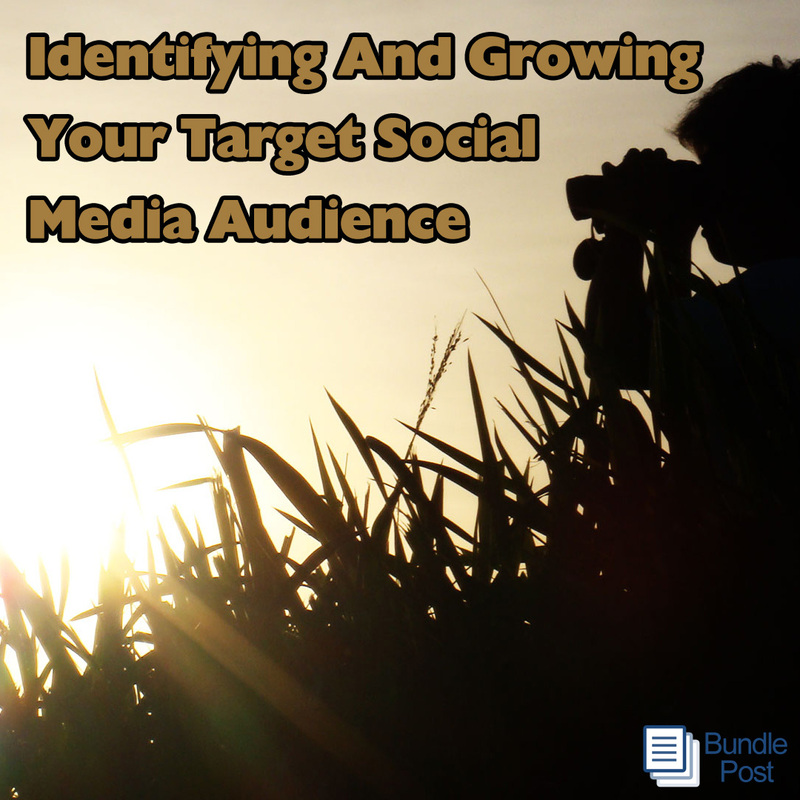 Why is the proper targeting and growing of your social community so important? Our experience tells us that any marketing that is being executed, no matter how skillful, creative or unique is always limited by improper targeted of audience. For example, if your intended audience is nurses, yet you attract, connect with, follow and engage with mostly healthcare vendors like yourself, your results will be minimal. Furthermore, if your company is a restaurant in Chicago and you send direct mail advertisements to homes in Boston, do you think your marketing resources will achieve a return? Geographically – Specific location or locations, including city, state, region, county or country. Demographically – Things like gender, age, ethnicity, language, home ownership, employment status, etc. If you do not specifically know who you need to connect with and/or know but are connecting and engaging with others instead, your social media results will suffer greatly. Therefore it is important that the community you build is made up of the of people you need to reach for the product/service you are marketing. It makes doesn’t it? Please tell me it does… If in fact it does make sense, why do so many do the exact opposite of these things in their social media efforts? The answer is, it is not easy and being humans we often take the path of least resistance, to our own detriment. Let’s attempt to change the difficulty factor of growing a targeted community through knowledge. 1) Identifying Your Target Audience – The first and most important step to growing a targeted community is to define it clearly. As we stated above, you really need to know who you are trying to reach, where they are located and what interests them. Since we know effective social media marketing is not about you, but rather your audience, then nailing the details of who you need to reach is imperative! Be very specific about the location(s), demographics and interests of your intended audience. The more specific you are in defining who you want to reach, the more effective you can be. Though geographic and demographic can often be easily determined with experience, psychographic interests can sometimes stump even the most experienced marketer. Competition: One way to determine more about your prospective target audience is to watch your peers and competitors social accounts. Watch for the non-business related topics and interests that drive your prospects to engage, like and share. Taking this further, look at the personal profiles of your prospective customers and take note of the topics that thread through everything they engage with online. The list that results from investigating several prospective customers and competitors social accounts will result in identifying 4-8 key interests or topics that drive your audience. Existing Customers: Speak with existing customers and known prospects about their interests on and offline. Discover that drives them in their life. Those are the topics you want to share content on and use to find your target audience. 2) Growing Your Target Audience – There are two distinct ways that marketers should be actively growing their target audience. Attracting new connections and proactively connecting. Having a community that is constantly growing with new connections, while engaged with conversations and relationship building is crucial for numerous reasons and should be a strategic part of any social media marketing program. Let’s define these two community growth elements. Attracting – If you desire to have organic growth within your social community, ensuring that you are attracting the right connections is imperative. To do this effectively, you will want to be sure you know who you are trying to reach and what topics drive their activity on social media (as we discussed above). Using this information and the other research we suggested, you will want to tailor your content curation, creation and hashtagging to these interests. Be sure that the content you are sharing and the hashtags you are using to attract your following is correctly focused on your prospects needs and interests, not that of your company, peers or competitors. Proactive – Supplementing your attraction growth should be an extremely consistent and highly targeted execution of proactive connecting. If you know who you are trying to reach and have defined this very clearly, social media profile searches, viewing friends of your connections as well as connecting with your competition’s following is extremely effective. At the end of the day, you must be providing value to your community, engaging in conversations and building relationships if your social media marketing efforts are going to see real results. If your strategy is on point, being executed properly and conversations are a daily part of your process, adding audience growth and targeting methods into the mix will add substantial results to your bottom line. In the “in between of stay or go”, trying to decide whether or not continue blogging, I came across this article of guidance about targeting your audience. I’ll give it some thought while I shovel more snow.